Access physical activity grades, report cards and other related documents from all Global Matrix events in which Ecuador has participated. To formulate and evaluate the impact (efficiency and effectiveness) of new evidence-based appropriate governmental policies designed to focus on the promotion physical activity and healthy environments considering the existing gender, geographical and income disparities. The Report Card has the potential to reach key stakeholders. To encourage researcher, government and community to i) propose research lines that fill the current gaps of knowledge and ii) create innovative strategies for community engagement and support for healthy and active lifestyles. That research lines and strategies could be address in collaborative networks. The main priorities includes active play, active mobility, physical fitness, sport participation and design of public spaces that promote an active lifestyle. To involve the academia in the evaluation and design of tools used in the national surveys carried out by the National Institute of Census and the Ministry of Health, in order to maintain a continue surveillance system. 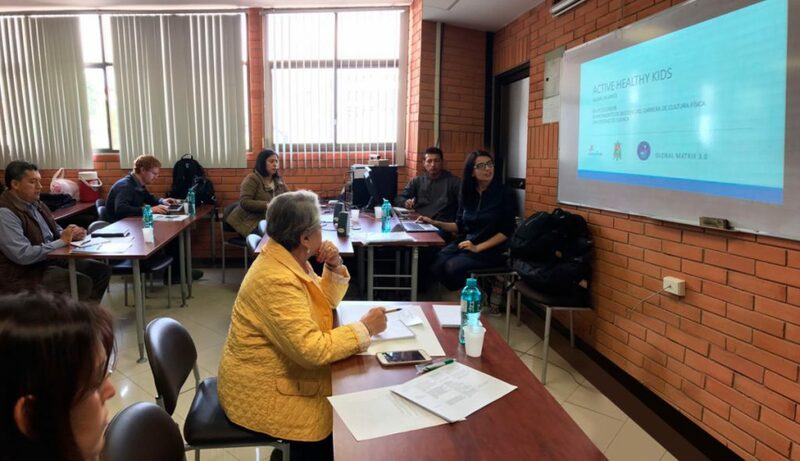 "Thanks to this experience, I can see not only knowledge gaps about physical activity but also I can see the gaps in connections between the needs of society, what the academy researches do and what policies the government implements in Ecuador. 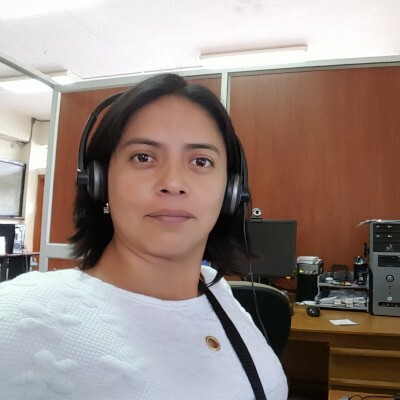 Now, I have a new and wider view of the Ecuadorian context related to physical activity." - Susana Andrade, Ph.D.
Susana Andrade, Angélica Ochoa-Avilés, Wilma Freire, Natalia Romero, Daniel Orellana, Teodoro Contreras, José Luis Pillco, Jessica Sacta, Diana Andrade, Patricia Ramírez, Miguel Martin & Silvana Donoso. This paper summarizes the first results of the Ecuadorian Report Card 2017. The card is developed using the methodology proposed by Active Healthy Kids Global Alliance. Grades are based on the best evidence available from national surveys, peer-reviewed literature gray literature, and governmental and non-governmental reports. Overall Physical Activity D 32.6% (N=10910) of 10-17 years-old children reported being physically active at least 60 minutes per day at least four days per week (national sample). Organized Sport Participation INC 42.4% (N=5254) of 9-17 years-old children reported participation in organized sport (local study from capital Quito). 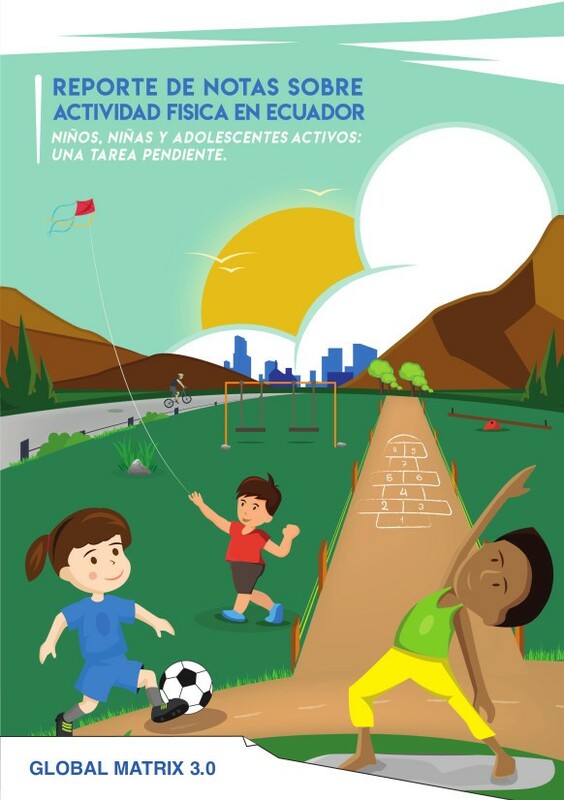 Active Play INC 29.5% (N=6633) of 9-17 years-old children reported more than 60 minutes engaged in some active play (local study from capital Quito). Active Transportation C- 42.7% (N=7652) of 5-17 years-old children reported walking (n=11582) or biking (n=224) to school or work (national sample). Sedentary Behaviours C 55.41% (N=14622) of 5-17 years-old children reported no more than two hours/day of TV and/or video-games in the last week. Since the national survey did not include other sedentary domains like computer use the grade was set at C instead of C+. Physical Fitness INC Cardiorespiratory fitness, muscular strength and endurance, agility and flexibility components were evaluated on a nationally representative sample (N=10257 children 5-17 year). The databases were not accessible, and the available literature do not report physical fitness data stratified by gender. Family and Peers F 11.6% (N=13511) of adults with 5-17 years old children living in the same house meet the recommendation of 150 minutes of moderate to vigorous physical activity per week (national sample). School INC The data available to calculate this indicator do not comply with the current governmental regulation. Community and Environment D+ 37.4%(N=68828) of the adult population (>18 year) scored their neighborhood as safe or very safe (national sample). Government INC Promotion of physical activity has been included in the National Constitution and in the National governmental plan (2013-2017). Additionally, Ministry of Sport was created to promote sports and to decrease sedentary behaviors of the population. Unfortunately, there is few evidences about the evaluation of the impact of the policies, and most of the strategies are focused on sports (formative sport, elite sports and organizations). Ecuadorian children and adolescents are insufficiently active. Additionally, there is an urgent need for more comprehensive evaluations in national samples by using international validated tools in order to have a complete understanding of indicator’s status and to enable comparisons over time and with other countries. We acknowledge the collaboration of PhD. Santiago Calero and Eng. Alicia Torres collecting specific sources of data.